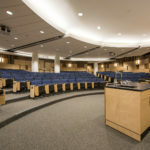 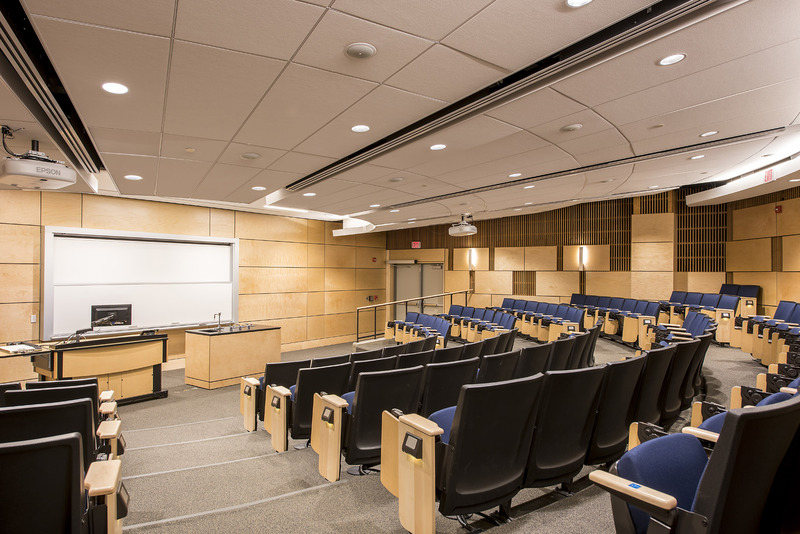 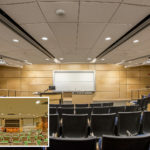 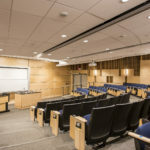 Colimore Architects worked with Loyola University and Whiting-Turner Contractors to renovate 8,000 SF at the ground floor of Knott Hall consisting of two lecture halls and an entry lobby. 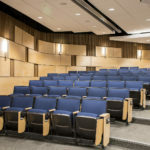 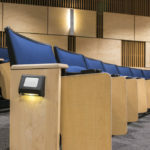 The goal was to update the aesthetics of the facility built in the late 1980s and increase the seating capacity without compromising the acoustical performance. 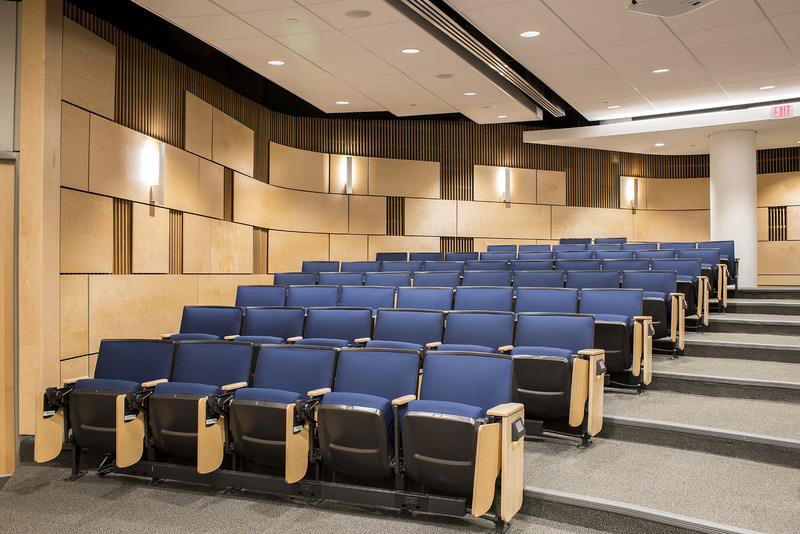 Colimore Architects designed a system of wall panels that provided an ordered and rhythmic pattern allowing areas of the original oak slat and acoustical fabric wall covering to remain visible and functional. 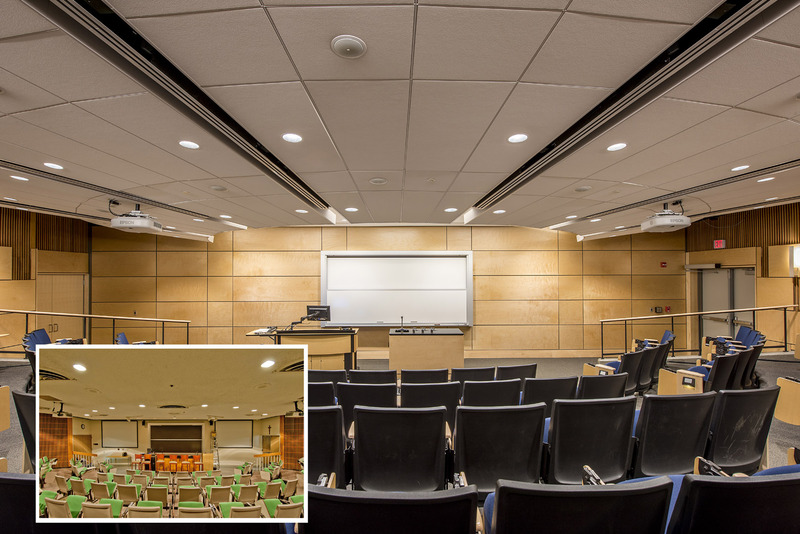 The ceiling was replaced with radial grid clouds and custom panels integrated with the modern LED lighting, speakers and air devices. 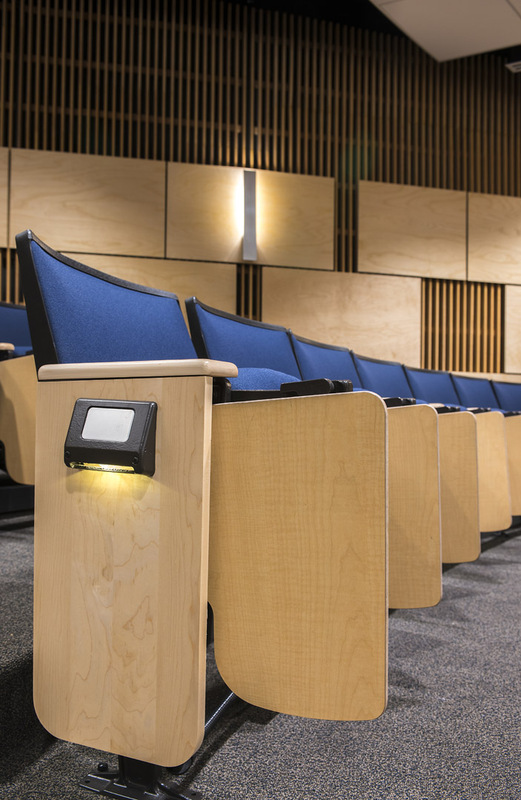 New seating increased capacity by 20% and improved accommodations for the handicapped. 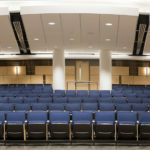 The HVAC system was also upgraded to handle the increased capacity. 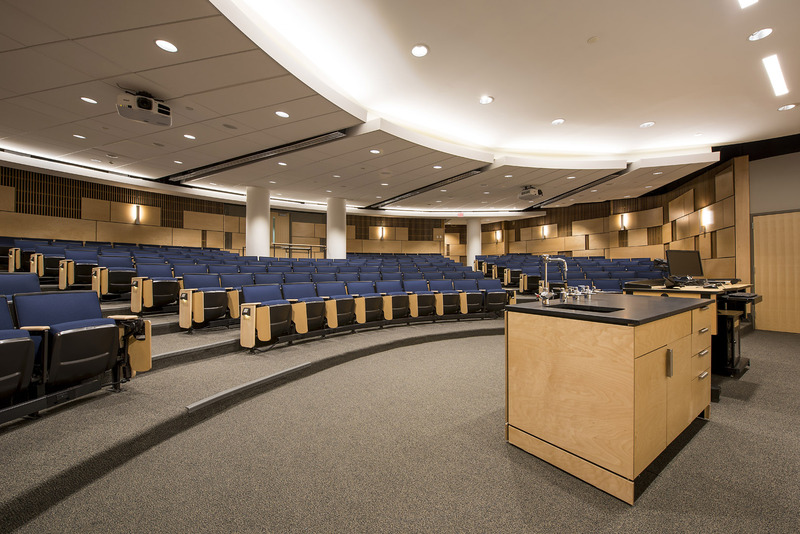 Other finishes included new carpeting and custom casework.